The tablet industry has had plenty to talk about given last week’s introduction of the Microsoft Surface, and now, according to a leaked internal training document, we’ve a stronger insight into what we can expect from Google’s Nexus tablet. The device, manufactured by ASUS, is, if you’re an Android user, certainly one to look out for, and the specs are, if true, very impressive indeed. 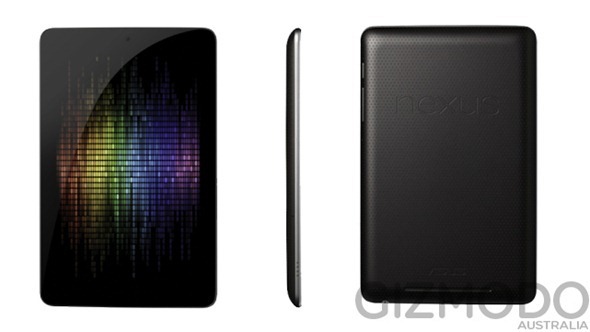 The memo states the Nexus tablet will include a 7-inch IPS display, packing in the pixels with an impressive 1280×800 resolution which can be viewed from a 178 degree angle. Of course, it doesn’t quite match the Retina display of the third-gen iPad, but short of the Retina of its counterpart, it’s still a very pixel-dense screen. Powering the unit will be a 1.3Ghz quad-core Tegra 3 processor, accompanied by an NVIDIA GeForce 12-core GPU, so gaming should be a smooth, lag-free affair, while the 1GB of RAM will allow for many tasks to be carried out simultaneously. There’s said to be an 8GB or 16GB model available, which is rather disappointing, since the market has moved towards 16GB being the entry-level size. Still, although it hasn’t been stated, the Nexus tablet will likely feature expandable memory by means of a microSD slot, so power users should be able to add a little extra real estate for music, videos and whatnot. Intriguingly, there’ll be no rear-facing camera, only a 1.2 megapixel front-facing camera for video conversations on the likes of Skype, which will surely put off the photo aficionados. Whilst I’m not certain about the requirement for a camera in the tablet – you’re not going to be carrying it around 24/7 like a smartphone – I do believe the likes of Instagram have shown that more and more people like taking images, so the lack of a snapper could be a costly oversight. Meanwhile, there’ll be NFC with Google Wallet, Android Beam, and the device itself will run on Android Jelly Bean (4.1). With a battery life of 9 hours, it will certainly retain enough juice to please most, while the price tag – base 8GB model starting at $199 – will be sure to please just about everybody. The larger-capacity model will cost just 50 bucks more, and although the last super-cheap tablet to hit the market (Amazon Kindle Fire) was a dud, the quad-core prowess of this device will likely see it received more favorably among consumers. The document also suggest Google will be handling software updates from now on, which makes a great deal more sense given the lengthy wait consumers have had to endure to see Ice Cream Sandwich. Of course, all will become clearer at Google I/O on the 27th June with regards to software and hardware, but Google has mentioned before that it wishes to see vendors competing in the hardware stakes as opposed to putting their own spin on Android software – one of the main causes of the lengthy delays.